Ideal for families who like to travel, Atlantic is offering the chance for a grand prize winner and three guests to win a fabulous Delta Vacations trip to either Los Angeles or Washington, DC. The winner will receive a certificate valid for roundtrip airfare for four (4) on Delta Air Lines; choice of Delta Vacations hotel accommodations; an activity package; and four (4) Atlantic carry-on sized suitcases. If you’re the Grand Prize Winner, you can bring two more people. Round-trip economy airfare for four (4) on Delta Air Lines. Choice of Delta Vacations Hotel Accommodations for four (4). A Delta Vacations activity package of the winner’s choice. Four (4) Atlantic carry-on sized suitcases. The sweepstakes begins May 15th and ends June 15th, 2014. To enter or view the official sweepstakes rules please visit the Atlantic Luggage sweepstakes site. No purchase or payment is necessary to enter or win. Since 1919, the Atlantic brand has been synonymous with affordable, value-added and lightweight luggage. As a market leader in the lightweight luggage segment, including neatly designed uprights and spinners to trendy and smart garment bags and totes, all Atlantic branded luggage is of superior quality and durability. Whether for business or pleasure, travel is easier with Atlantic luggage, now part of the Travelpro family of brands. Please visit Atlantic Luggage at www.atlanticluggage.com for a list of the latest products available for purchase and the nearest retail locations. For over 25 years, Travelpro International has prided itself on design innovation and durability in crafting the highest quality luggage for travelers worldwide. 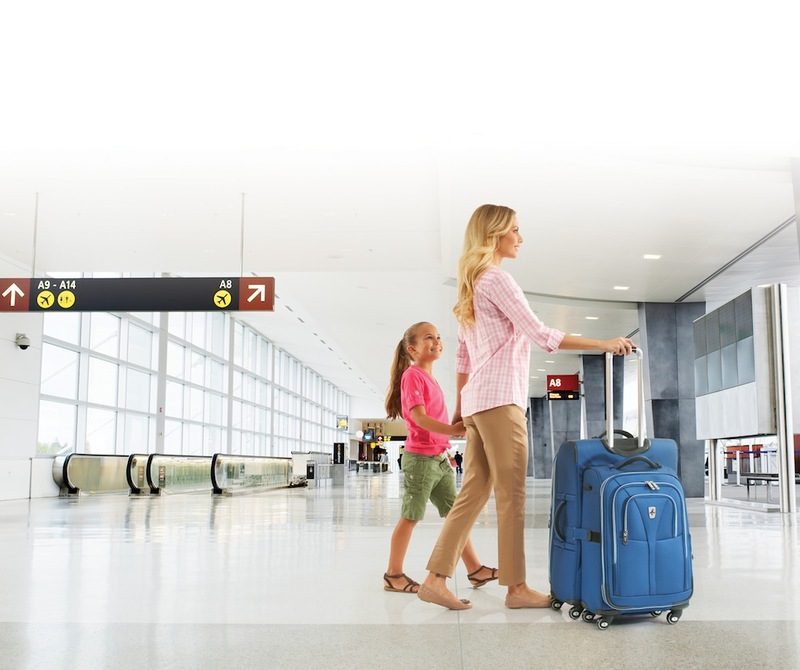 Since transforming the ease of modern day travel with The Original Rollaboard wheeled luggage, Travelpro has been the brand of choice for flight crews and frequent travelers worldwide. Travelpro is dedicated to building a lifelong relationship with its customers by consistently understanding and exceeding their needs. Travelpro was honored to receive the New Product Innovation Award from the Travel Goods Association (TGA) in March 2013 for the revolutionary Platinum Magna luggage collection. Please visit the Travelpro website for a full list of the latest products and retail locations. You can also like us on Facebook and follow us on Twitter. Delta Vacations offers convenient one-stop shopping for affordable vacation packages that combine Delta Air Lines or Delta’s codeshare partner flights with hotel stays, rental car, sightseeing and entertainment, escorted tours and more. Delta Vacations, in partnership with Air France Holidays and Alitalia Vacations, originate from more than 220 cities across the United States and Canada; destinations include more than 4,000 world-class hotels and resorts throughout Mexico, Costa Rica, the Caribbean, Europe and Asia. Delta Vacations is managed and marketed by MLT Vacations, a wholly-owned subsidiary of Delta Air Lines.